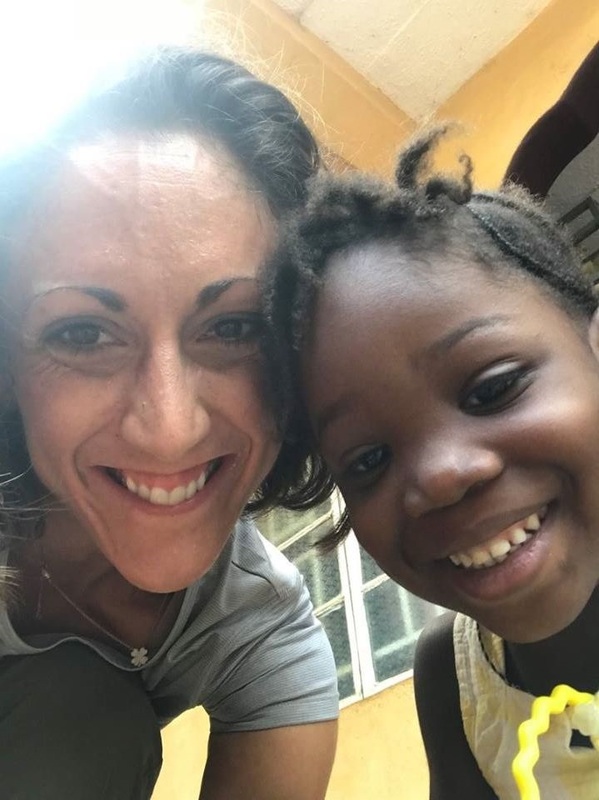 In December 2016, I was sitting in service one Sunday when Pastor Chris began talking about one of Hoboken Grace’s overseas partners, Enable the Children, which works with special-needs children. He went on to describe how special-needs children in Sierra Leone are treated, explaining in detail a ritual one little boy was put through to cleanse him of the “demonic spirits” his community believed caused his disability. But after relentless and unsuccessful attempts, the boy’s family realized he wasn’t a devil child but was completely worthy of their love. As a trained professional in the field, I began to feel sad and frustrated. How could people be so misinformed or treat another human, let alone their own son, so cruelly? In that moment, I heard God calling me to help. So that’s exactly what I did. Over the next year, I made it my mission to get connected with the director of Enable the Children. I explained to her my experience and passion for working with special-needs children and offered to help in any way possible. I went on to sponsor a little boy who is part of the program, signed up for the church’s mission trip, and even started to learn about the language and culture in Sierra Leone. But I still wasn’t certain what God would make of this desired placed in my heart. Leading up to the church’s trip, He made it more and more evident He wanted me to help these children and families for an extended time. So, I agreed to stay behind for three months following the church’s five-day trip. As the date grew closer, I became more and more excited. I couldn’t help but share what I was about to do with the world around me! After what seemed like one of the longest travel days of my life, we finally arrived in Africa. I wasn’t tired, I was just so happy to finally be there. As the days with the mission team passed by, I couldn’t stop thinking about the work that was about to come. I remember the night before my first day with Enable the Children, I felt the joy and anticipation of Christmas Eve, despite having no idea what would happen over the next 89 days. The following days were filled with so many new experiences, trials and celebrations. I felt a sense of contentment in my work I had never experienced before in life, and I felt so grateful to be a part of it all. Through my time getting to know the people, culture and natural beauty I was surrounded by, I felt my life and my focus begin to shift. It amazed me to see people who have so little have such a sense of peace and joy. At first, I didn’t get it, but I soon realized this peace and joy was their faith in God and God alone. It was a beautiful thing to witness and I wanted to be more like that in my own life. Those 89 days taught me more than I ever expected about life’s fragilities and how everything is a gift from God. They changed my perspective on life forever. And while I’ve always found a joy in serving those who are less fortunate, God closed some doors but opened others to show me where I was supposed to serve next. So, in a few short months I will pack my bags once again and make the trek back to Sierra Leone to serve as a full-time missionary, educating and serving some of the city’s poorest children and families. I know this next journey isn’t possible without complete trust and faith in God and God alone, but I am certain He will be right by my side, every step of the way. Please keep Lauren in your prayers as she prepares to leave for Sierra Leone this fall.